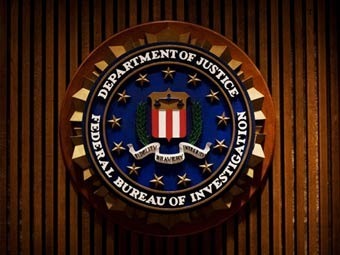 What Will the FBI Do with Stolen Ukrainian Assets? Recently the U.S. State Department’s Office of the Spokesperson announced that the U.S. had sent a team of experts from the FBI, the Justice Department and the Treasury Department to assist Kiev in recovering stolen assets located abroad. On April 29 the U.S. and Great Britain will host a multilateral meeting on this issue with the participation of Ukrainian officials. It is expected that the International Centre for Asset Recovery (ICAR), based in Basel, will participate in the meeting. Ukraine is on the brink of a massive default and social flare-ups, and even famine. 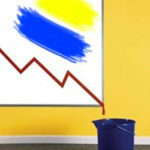 Ukraine needs money to keep the national economy from collapsing altogether. Of course, Washington cares little about what happens to the Ukrainian economy; it is worried about Ukraine’s ability to pay its debts to Western creditors. Currently Ukraine’s foreign debt is estimated at $145 billion. Now no one in the West wishes to give Ukraine new loans. The amounts named in the media figuring in the billions of dollars and euros are nothing but the «verbal interventions» of Ukrainian politicians and Western officials. There are clear signs that Ukraine’s banking sector will soon collapse. 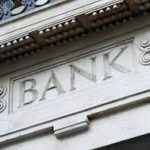 The National Bank of Ukraine (NBU) is discussing the option of rescuing commercial banks the way they did in Cyprus, that is, by confiscating depositors’ accounts or forcibly turning depositors into the banks’ «investors» («shareholders»). The Kiev regime plans to mobilize several billion dollars this way; such blatant robbery could save several banks, but it cannot save the country from a massive default. This would require tens of billions of dollars. When you get down to it, in order to pay its debts to foreign creditors, Ukraine has only two sources of its own. The first is privati]ing state property, including the country’s natural resources. The second is Ukraine’s foreign assets. Thus the FBI and the U.S. Departments of Justice and the Treasury have decided to help Kiev use the second source. Ukraine’s foreign assets are made up of several components. The main one is the international reserves of the NBU. They have been continually melting away since mid-2011 (at that point they had reached a record high of $38 billion). Today they are at a level of less than $15 billion; this reserve is insufficient to pay back previously borrowed stated debts or service them even through the end of this year. There are also private foreign assets. 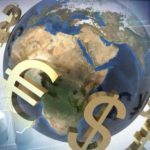 It is well known that Ukraine’s accumulated direct private investments abroad do not even amount to $10 billion; however, this is only direct investments. There are also portfolio investments, loans, credits, funds in bank accounts and foreign cash currency. In all, at the end of last year all types of foreign assets came to over $140 billion. This amount is just about equal to the size of Ukraine’s aggregate foreign debt. And about 70% of the assets were in the form of cash currency and funds in foreign bank accounts – a very liquid form of assets. However, Ukraine’s official foreign private assets are just the tip of the iceberg. 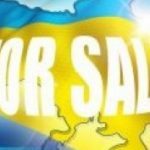 The main part of Ukraine’s assets abroad formed as a result of illegal export of capital by high-ranking officials and oligarchs. They are not accounted for in the statistics of the NBU’s balance of payments at all. Last year the Ukrainian media published a rating of the 100 richest citizens of Ukraine (Top-100). The assets of this «top 100» in 2012 equaled $130 billion (80% of the GDP of Ukraine). And the foreign assets of most oligarchs are greater than their domestic ones. However, this data practically does not account for the funds in the oligarchs’ bank accounts. This remains completely in the shadows. In recent years undocumented assets of Ukrainian oligarchs and officials in various offshore zones have come to light. 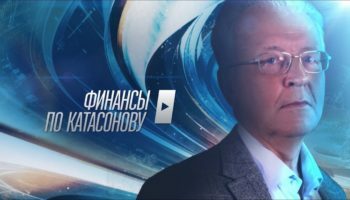 Yatsenyuk, in his passion to expose «Yanukovich’s criminal regime», stated that during the years of the latter’s presidency 70 billion dollars were taken out of the country into offshore zones. 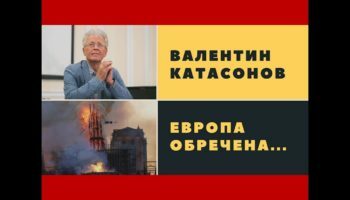 However, he kept quiet about how much was taken out under Yushchenko and Timoshenko. According to estimates from the Tax Justice Network, an American analytical center, since Ukraine gained its independence a total of $167 billion has been moved from Ukraine into offshore zones. This amount is a little less than the gross domestic product for 2012 and significantly exceeds the size of the country’s aggregate foreign debt. It is on these foreign assets that the Kiev regime, along with its patrons in Washington, is focusing as a potential resource for solving Ukraine’s financial and economic problems. International experience in the return of foreign assets to their homeland exists. In world practice there have been attempts to recover the money of Saddam Hussein, Muammar Gaddhafi, Hosni Mubarak, Francois Duvalier, Robert Mugabe and others. Such operations almost always used the slogan of «returning stolen riches to the people». 1.Passing the necessary laws in the victim country for conducting the operation and recovering assets, as well as signing agreements with other countries. 2.Seeking and finding foreign assets. 4.Proving the illegal origin of the assets. 5.Presentation of a program for the use of the recovered assets by the victim country. 6.Transfer of the assets to the victim country and implementation of the program. That is approximately the procedure described in instructions developed by the International Centre for Asset Recovery (ICAR), the World Bank and other organizations. In fact, it usually does not get as far as the last stage. In part this is because it is indeed difficult to untangle the complicated schemes used for exporting assets from victim countries. In part it is because the West, where the assets are located, has an interest in freezing the assets for as long as possible, especially in the case of bank accounts. This side of the issue is hardly ever mentioned. But after all, frozen funds, which often amount to billions of dollars, are a royal gift for the bank where the funds are located. Any bank could only dream of its clients not using the accounts they have opened. Even if specialists present the necessary proof of the illegal origin of foreign assets, the government of the country where such assets are hidden will not rush to immediately unfreeze them and return them to the «people» of the robbed country. The reasoning of the country «sheltering» the illegal assets goes something like this: if we return these assets (money), they will just be stolen again. We can only transfer them to the victim country if there are grounds for the proposed expenditures and mechanisms for monitoring the use of the money for the intended purpose. The U.S. uses wording like this in order to keep stolen assets there. Kazakhstan’s experience of cooperation with Washington looks a bit more optimistic. Astana was able to pry $84 million out of the U.S., although experts estimated illegal assets of Kazakhstani origin in the U.S. at many billions of dollars. As they say, the mountain has brought forth a mouse. Libya’s experience is interesting as well. After the overthrow of Gaddhafi a broad campaign was launched to seek out assets belonging both to him personally and to his relatives and close associates in banks in various countries. The media has reported various finds which together amount not to billions, but to tens of billions of dollars. However, not a single cent has yet made it to Libya. The Libyan precedent is interesting in that from the very beginning of the aggression against Libya, Washington declared loudly that «the dictator’s assets must be returned to the people». When the assets were found, it was declared that the Libyan people owed Washington large amounts of money spent by the Americans to establish democracy in the country. This refers to U.S. expenses for conducting military operations during which thousands of Libyan civilians were killed. 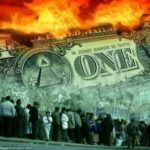 Some experts are convinced that the money of Gaddhafi and other Libyan citizens will simply be transferred into the accounts of the U.S. federal budget. It is entirely likely that the same fate awaits Ukrainian assets when the Americans find them. And one more thing. The recent arrest of Ukrainian oligarch Dmitro Firtash is a black spot for the entire offshore aristocracy of Ukraine. 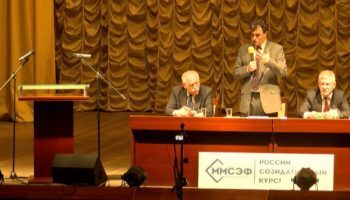 Firtash’s foreign accounts have been seized on the grounds that the money in them is of criminal origin, and in the future they may be used for repayment of the debts Firtash owes to Western banks. If anything remains, it will be used to pay back Ukraine’s foreign debts to the IMF and other «priority» creditors. The people of Ukraine will get nothing.